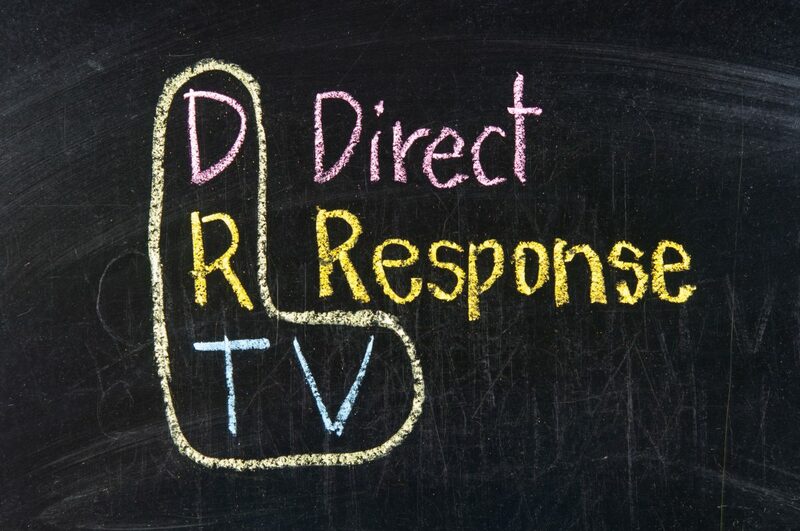 What is Direct Response TV (DRTV) advertising and how can it help your business? Home > Video Production > Direct Response TV > What is Direct Response TV (DRTV) advertising and how can it help your business? From interesting late night infomercials to compelling adverts for charities and services on daytime TV, Direct Response TV advertising is more pervasive than you’d think – and even more successful, thanks to its unique focus on product over brand. A practical tool that allows consumers to connect directly with your company and the product they want in seconds, DRTV provides the immediate purchase gratification that the modern shopper needs, while maintaining the appeal and style of branded advertising. DRTV production is in a different world to the traditional brand advertisement, but the two are often strongly linked when it comes to creating an effective, rounded consumer campaign. Whereas the point of TV advert production for a brand is to establish your company’s name, values and overall product range in the mind of consumers, DRTV takes a far more direct approach. The average DRTV commercial is between 60-90 seconds, a considerable increase in comparison to the average social media brand advertisement; but this type of advertising is no less effective in achieving its goal. One of the critical elements of a great DRTV advert is that it makes the transition from advertisement to purchase easy. This is achieved with a direct, easy-to-follow call-to-action that facilitates that purchasing process. Whether it’s a phone number to call or text, or a website to visit, DRTV provides the action consumers need to accomplish to go from first interest to final purchase with very little resistance. Not only does this give the satisfaction of a quick purchase, but it also reaches a different audience than brand advertisement does. According to Forbes, a ‘healthy media mix’ is the key to accessing and capturing the interest of the widest range of consumers possible. If your product targets at a consumer level, then DRTV is an essential part of that mix. Whereas a brand advertisement works to sell your company to an individual, which can often be a longer game, DRTV doesn’t require customer loyalty and brand understanding; the goal of DRTV production is to increase the sales and ‘pull’ of a particular product or item. In an age of internet shopping, where research and comparison are a must for many purchases, DRTV advertising targets consumers who are either reaching the end of their buying process, or those who have a less conventional routine. Students, shift workers and retired consumers are all likely to have more exposure to DRTV through their television, with Monday-Friday proving most popular for viewership according to WARC. In comparison to online shopping, all the information is there – from the benefits of the product to the look and feel of an object in a real-world setting. Is DRTV right for your business? If you offer unique, competitive products at a consumer level, then DRTV can provide the pull your company needs to increase sales. DRTV isn’t a way to increase brand presence or knowledge. Instead, it works to promote specific products and encourage their purchase, with a shift in focus from what your company can provide your customers, to what an item can offer them. If all of those factors apply to your business, then DRTV might be the right fit to improve sales, increase product awareness and encourage the immediate purchase of your products. Video ProductionDirect Response TVWhat is Direct Response TV (DRTV) advertising and how can it help your business?